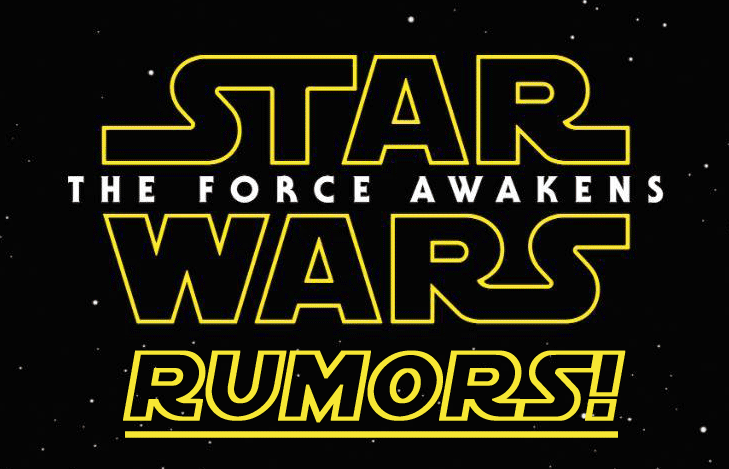 The rumor of flashbacks being used in Star Wars Episode VII: The Force Awakens is one that has been around since pretty much day one. It has been divisive as flashbacks have never been used in a Star Wars film before (though they were used once on The Clone Wars). But the evidence is starting to pile up that yes, they will be used in the film. Our friends over at MakingStarWars.net have obtained some documents via their sources that go into great detail about what the flashback scenes will entail. As usual, there is a chance this may not be true, so if you are trying to avoid all spoilers, then stop reading now. This is your official SPOILER ALERT! Flashback: Exterior Dusk at the Academy – It is noted it is peaceful now. Artoo-Detoo is saddened as his master departs. Interior Day Roses’s Pub: In the corridors underneath the pub they notice Rey and BB-8 are missing as massive shaking begins. It sounds to me like this will be looks of quick flashback scenes, without ever going too deep into one scene or another. Jason at MSW suggests that the academy referenced in the first few flashbacks is a Jedi Academy Luke Skywalker opened but he disappeared after all his students were massacred. Rose is believed to be the code name for Lupita Nyong'o's character. As for what "THE SEVEN" and "THE CLAN" are, is still somewhat of a mystery. It is also expected that there will be voice over in this scene to lend context to the flashbacks. Also, Jason reiterates that this does still mostly line up with the rumor from last week which stated that Luke Skywalker will only appear at the end of the film, as his only other appearance will be in flashback form. Also, nowhere in this is there any mention of Darth Vader meeting with an Inquisitor. This doesn't mean that flashback won't happen, it just may not be part of this particular sequence of flashbacks. I've been ok with the idea of flashbacks in Episode VII for a while now, and this sounds like it will be a hugely important scene that will lay the groundwork for the rest of the film and sequel trilogy. Im not sure why this is needed to be told in flashback, why not just show the scenes at the beginning of the movie? -Luke is missing and is only in the last part scene of the movie yet was on set for months: He was filming flashbacks and will have only a few limited physical appearances. Present Luke is scruffy and flashback Luke was clean. Vader could have a small, possibly silent cameo dispatching the seven to hunt similar to how his relationship with the rebels inquisitor. As for "THE SEVEN"...that REALLY intrigues me. I hope its like an evil 7 samuri team of inquisitors. Remember in the Jedi Knight videogame when there were 7 dark jedi inquisitors lead by Jerec? I would love to see a similar concept used for a team of dark jedi lead by Kylo Ren even Gwendoline Christie! If i were a betting man I would say the 3 Raid stars: Iko Uwais, Yayan Ruhian (aka, "Mad Dog/Prakoso" in the film) and Cecep Arif Rahman are part of "The Seven". I have to say this is all sounding rather clunky if not crafted well. Lots of good ideas floating around but with so many new characters needing to be built up ... it could all get rather messy. They gawp when there are three baddies in superhero films - we've got about a dozen new characters here! I still think this flashback stuff and most of the "documents' MSW receives are deliberate misinformation being leaked to them by Lucasfilm. I believe makingstarwars.net may very well be put forth by JJ Abrams to throw more confusion out there. He's kept a tight lid on so many of his productions that he was unprepared to handle a movie of this scope. So what did he learn? If you can't beat them? Join them. Post some intriguing spoilers that mean NOTHING. My brain actually hurt after reading those lines. They don't make sense--forget about not having definitions of the seven and the clan. Even if it were clear what those were--note: it's not---the whole thing would still read like an English Teacher's worst nightmare. Confusing. I think the site is a deliberate red herring put forth by Abrams team. The idea and the name of THE SEVEN really reminds me to the original STAR WARS novel adaptation of the first film, where they make reference to the Sith Lords as some sort of secret service of the Emperor, in the line with the Nazi SS. And most of all, it reminds me to THE NINE, the Nazgûl or Ringwraiths at the service of The Lord of the Rings. Not to forget that Star Wars is partially inspired by Tolkien works, just as Tolkien himself was partially inspired by both World Wars. In any case, if it is true, it sounds like JJ is heading in the right direction.